What do the The Lady and the Tramp, Pulp Fiction, and American Gothic have in common? NONE OF THEM ARE GLUTEN-FREE. 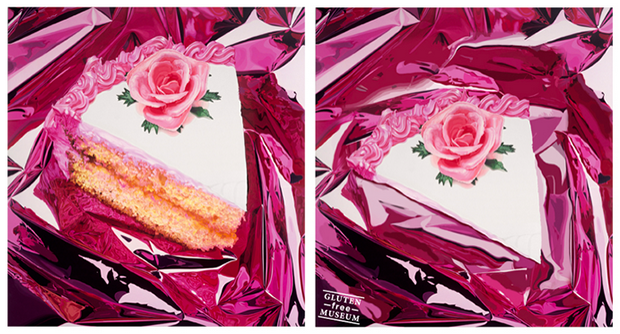 The new tumblr "Gluten Free Museum" has pointed this out by removing all pasta, hamburger buns, donuts, beer, schythes, wheat, chaff, pitchforks, and lots of hay from everything from Baroque to pop art. 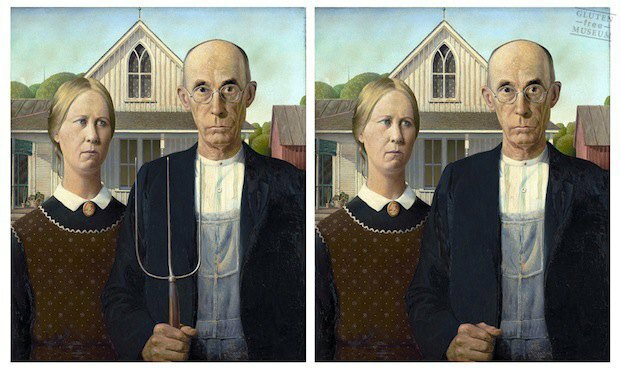 It demonstrates equal parts the history of high gluten content, and impressive photoshop skills. Just look at this Martin Parr.